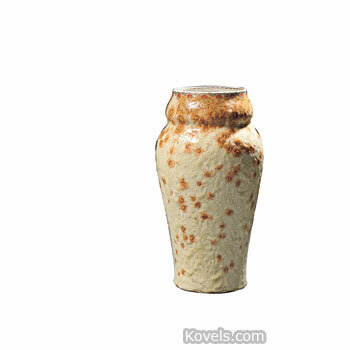 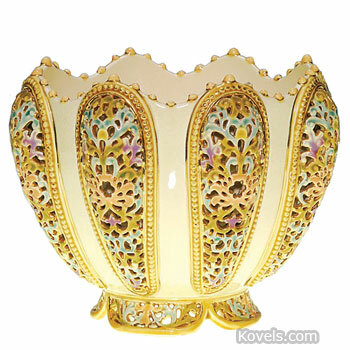 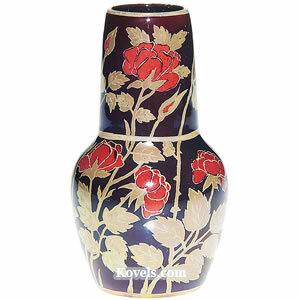 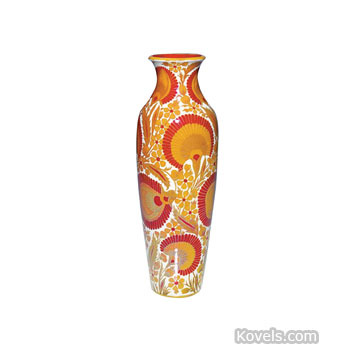 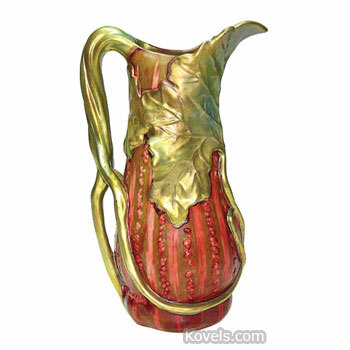 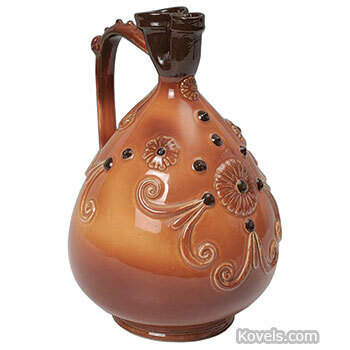 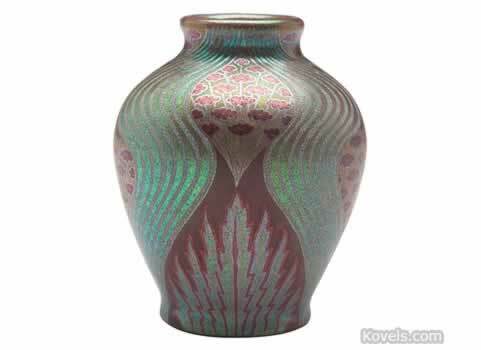 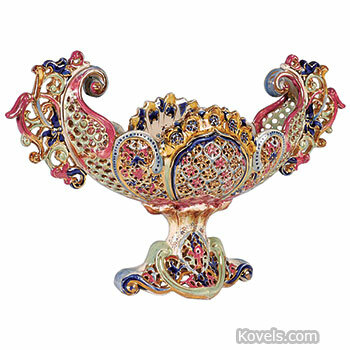 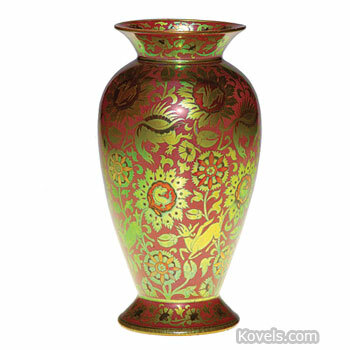 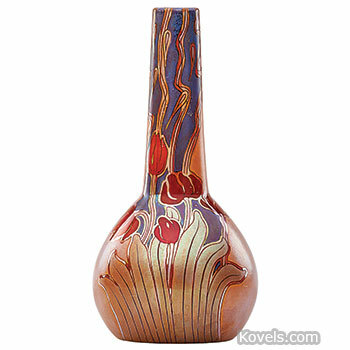 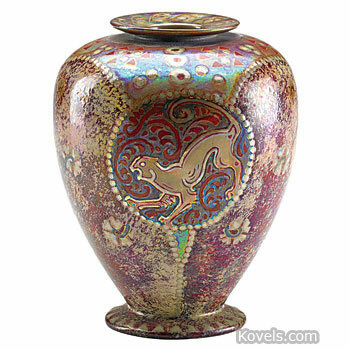 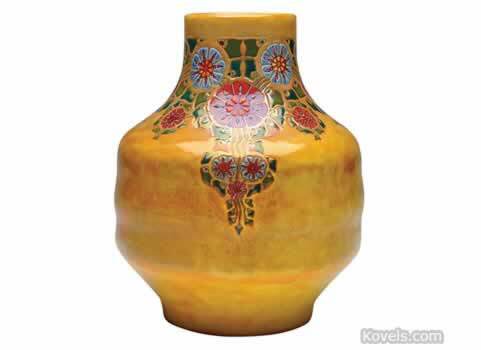 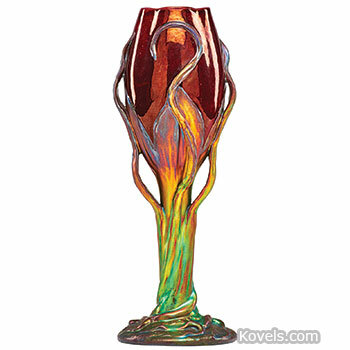 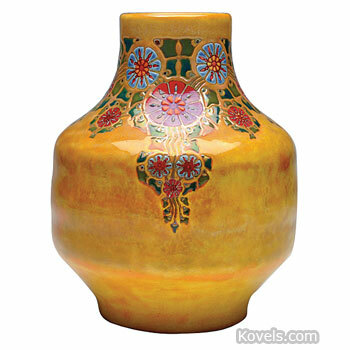 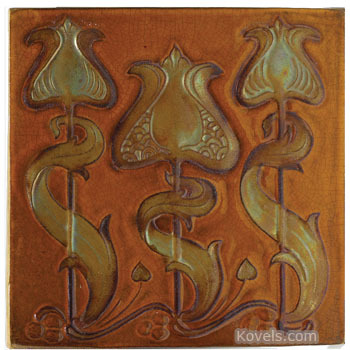 Zsolnay pottery was made in Hungary after 1853 and was characterized by Persian, Art Nouveau, or Hungarian motifs. 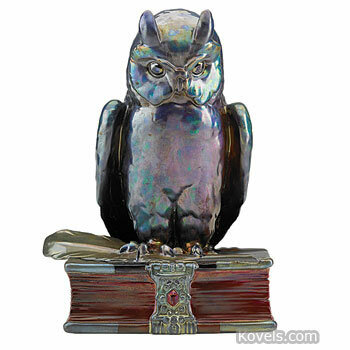 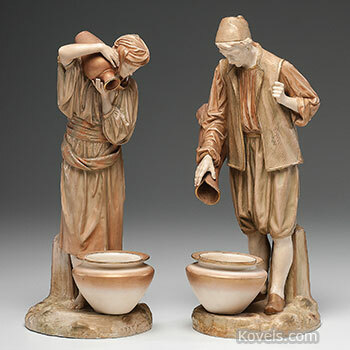 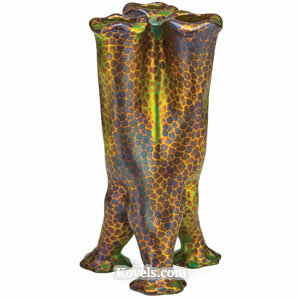 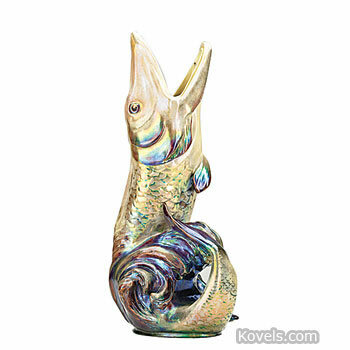 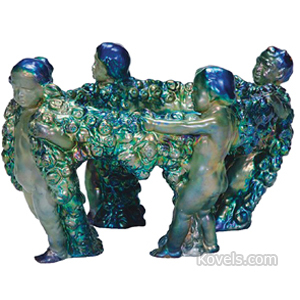 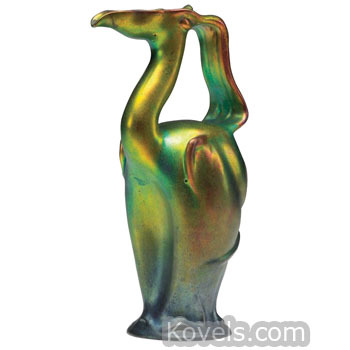 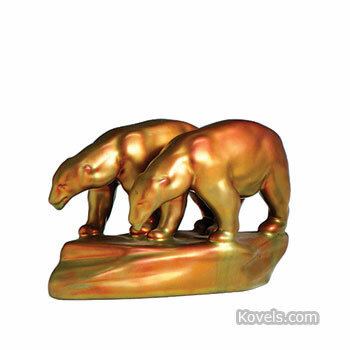 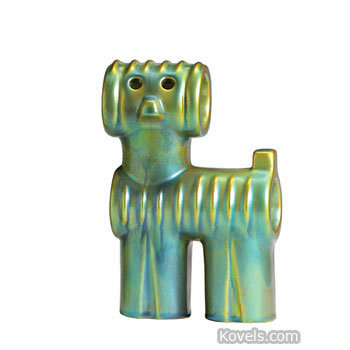 A series of new Zsolnay figurines with green-gold luster finish is available in many shops today. 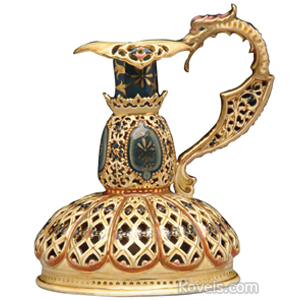 Early Zsolnay was not marked, but by 1878 the tower trademark was used. 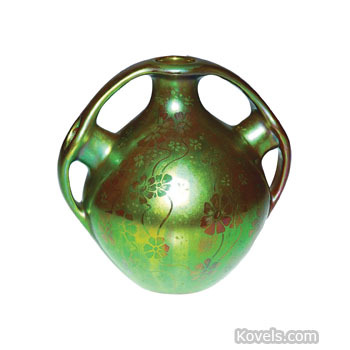 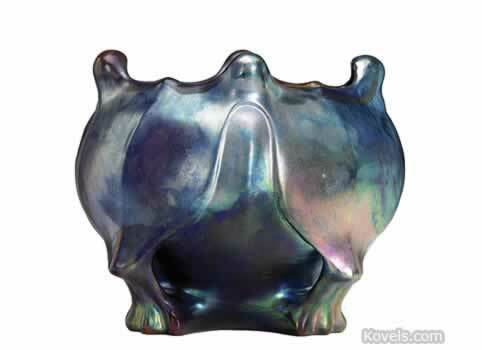 Vilmos Zsolnay developed a unique process of firing glazes at high temperatures.